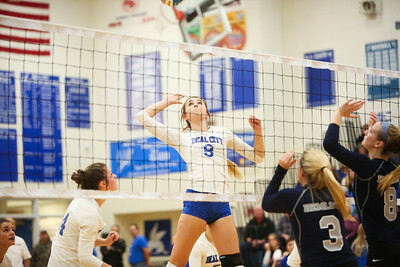 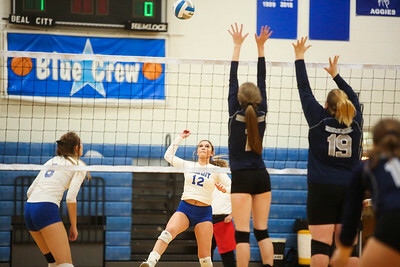 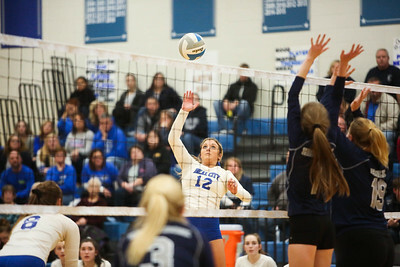 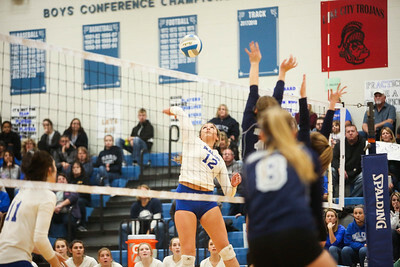 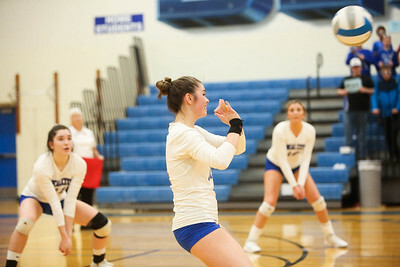 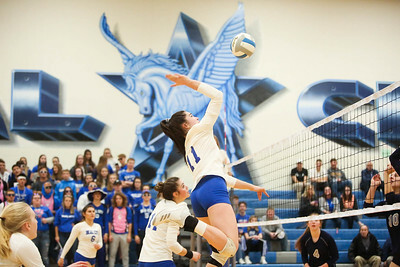 Beal City's Macy Vondoloski (8) goes up for a kill against Hemlock in a series for the District Title Friday, Nov. 2, 2018. 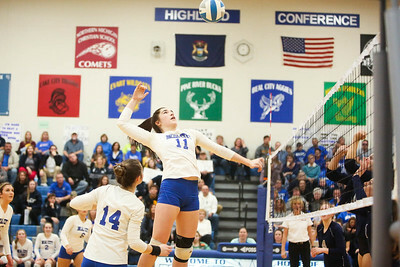 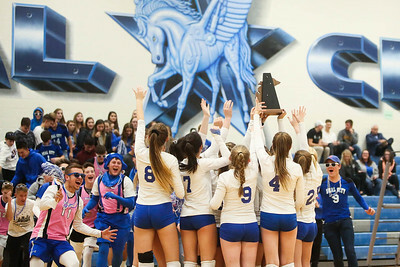 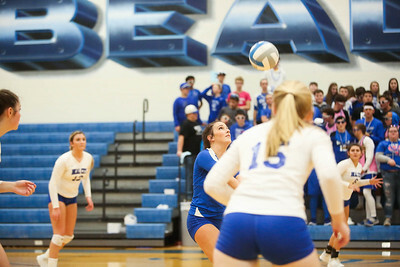 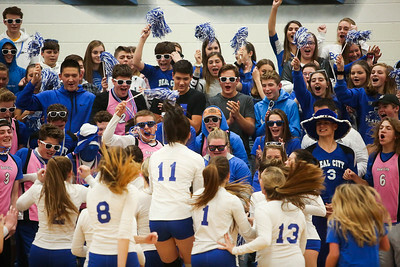 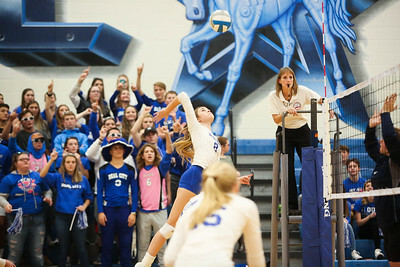 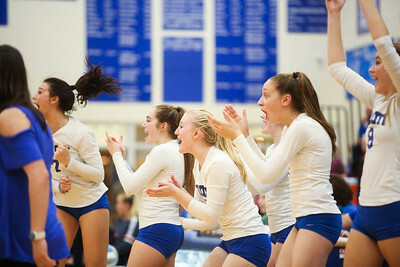 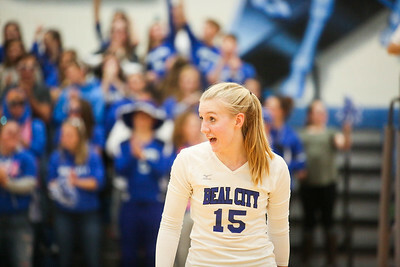 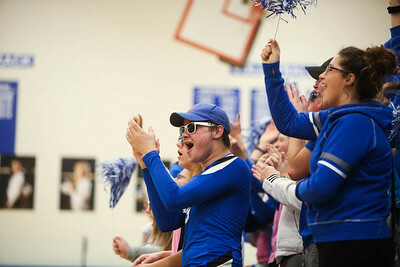 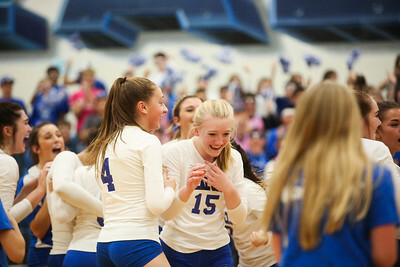 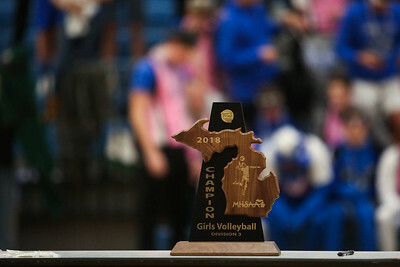 Beal City advanced after sweeping Hemlock in three games. 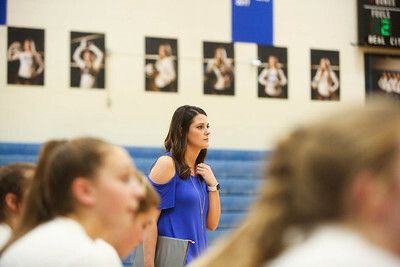 (PHOTOS BY KEN KADWELL--FOR MORNINGSUN.COM). 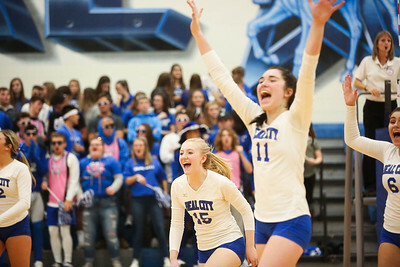 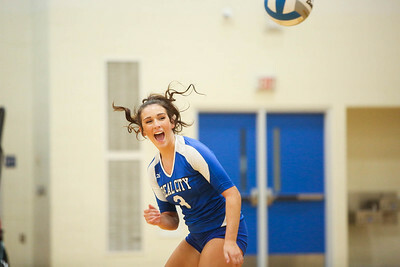 Beal City's Jordyn Fillenworth (3) celebrates shortly after Beal City scores a point against Hemlock for the District Title Friday, Nov. 2, 2018. 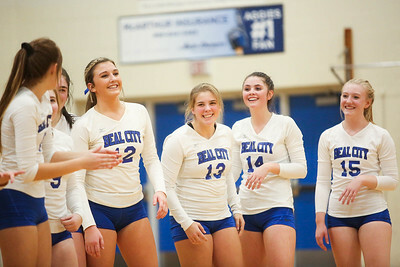 Beal City advanced after sweeping Hemlock in three games. 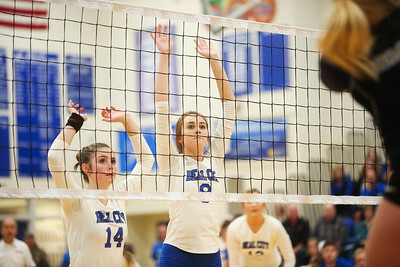 (PHOTOS BY KEN KADWELL--FOR MORNINGSUN.COM). 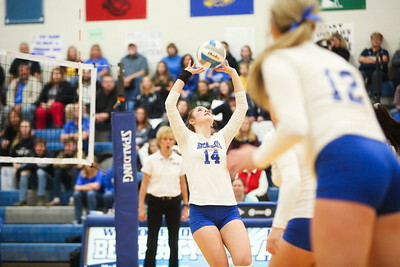 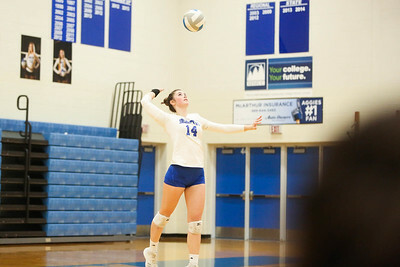 Beal City's Bailey Torpey (14) sets the ball against Hemlock in a series for the District Title Friday, Nov. 2, 2018. 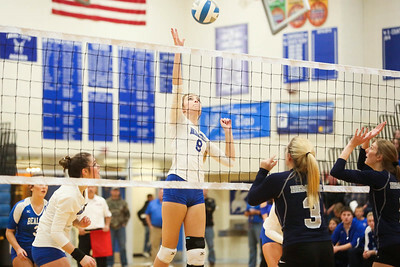 Beal City advanced after sweeping Hemlock in three games. 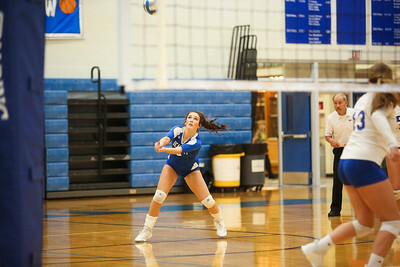 (PHOTOS BY KEN KADWELL--FOR MORNINGSUN.COM). 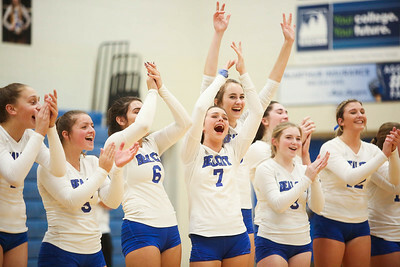 Beal City plays Hemlock for the District Title Friday, Nov. 2, 2018. 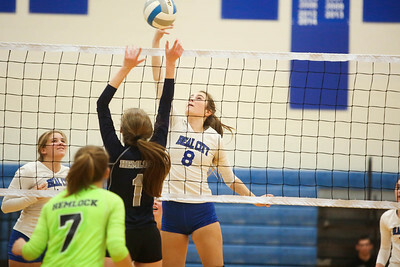 Beal City advanced after sweeping Hemlock in three games. 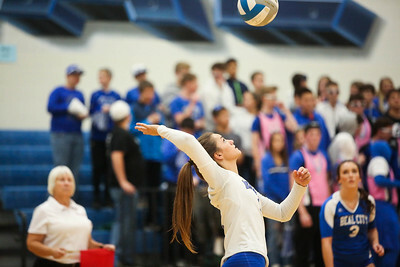 (PHOTOS BY KEN KADWELL--FOR MORNINGSUN.COM).